Including handmade & product-based businesses, consignment boutiques & more. Specialized compensation templates to help your understaffed or single person HR departments. Manage your rental income, expenses and deposits from 1 - 30 properties. Choose the Excel Template that works best for your situation. Enter your data OR import via copy and paste. Make data-based decisions with summary reports and analytics. New Templates are arriving soon! This new collection of spreadsheet templates has been inspired by the circus and the movie The Greatest Showman! The circus has so many moving parts – all working together to bring you the greatest show on earth… Keeping all of those different parts working well takes a lot of behind the scenes effort. When you utilize excel templates to keep the behind-the-scenes parts of your Business, HR department or Rental Properties organized, everything else is going to work together seamlessly. You might be facing a lot of challenges when it comes to keeping your data organized, but with the right tools and templates, you can be the ringmaster of your own ‘greatest show on earth’! How do I receive my template after I order? Most templates are sent via email within 24 hours (although it’s usually within a couple hours of purchase). Some templates are instant downloads, but the majority are sent via email. Do I need a spreadsheet program to use these templates? Yes, most of my templates are designed in MS Excel and are compatible with all versions of Excel. If you have ‘Excel for Macs’ on your mac computer that will be compatible. If you don’t have Excel, I recommend Open office and I have Open Office versions of most templates, available upon request. Open office is a free program you can download. Will I be able to make my own changes or customizations to the template? Most of my templates come with the cells with formulas protected, to prevent someone from accidentally deleting or writing over a formula, which could cause the template to not work as described. If you want to be able to make changes to the formulas, you can upgrade to the unprotected version here. Most of my templates come personalized with your name or company name and that remains protected, even in the unprotected versions. I can also make changes or customizations for you. See more information about custom orders here. 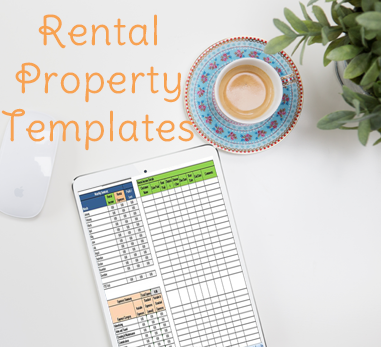 All templates are designed for your own personal use, but if you are a financial or property management adviser, you may purchase the license to use the template for your clients, when it is part of a service you provide. See here for more details on the license. 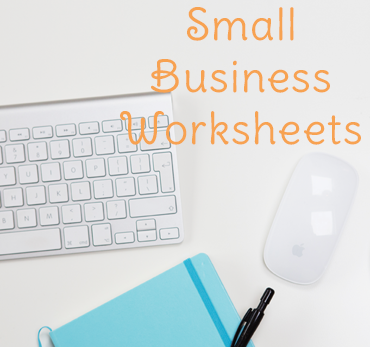 What if I'm really new at using Excel worksheets? I have several videos that go over the basics of getting started with excel here. The templates are also set up to be fool-proof and easy to use. Most of the templates follow a similar color-coding that allows you to easily see where to enter your information and where the formulas are. Most cells with formulas are protected, so that it won’t let you accidentally delete or write over the formulas. The templates come with PDF directions on how to use them, and I’m happy to help if you have any questions. Where's the FREE templates and trainings? Just click over to find the free resources here.